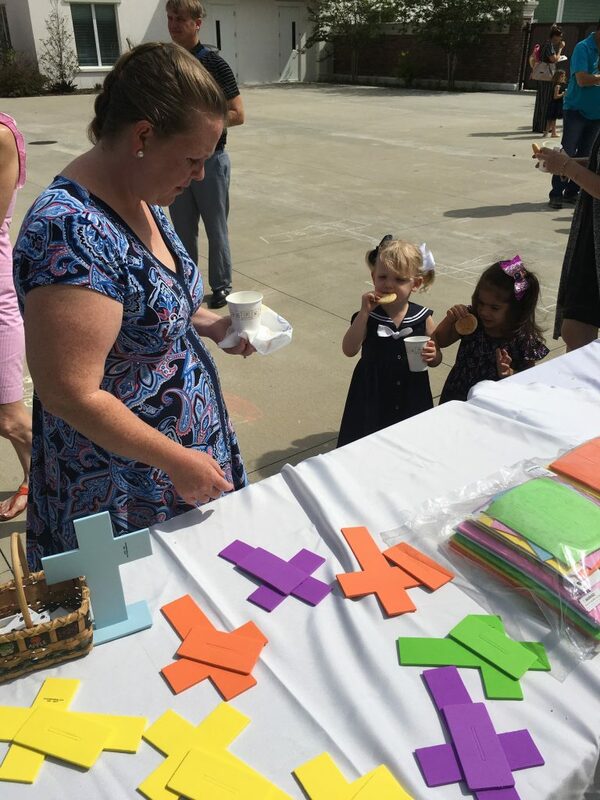 This weekend at the 9:30 contemporary worship service, a very talented group of nearly 40 three to five year olds from Trinity Lutheran School’s Child Development Center shared their musical talents in worship under the direction of their music teacher, Mrs. Julia Malenke! 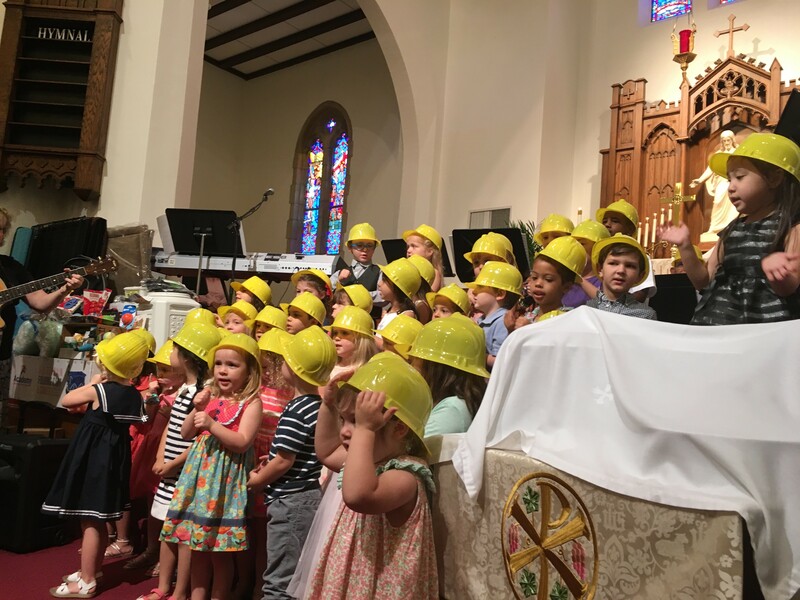 Dressed in their construction hats, the whole group sang He’s Still Workin’ on Me, and the older children also sang God of Love. The presence of these children and their families and teachers in worship was a blessing to everyone! 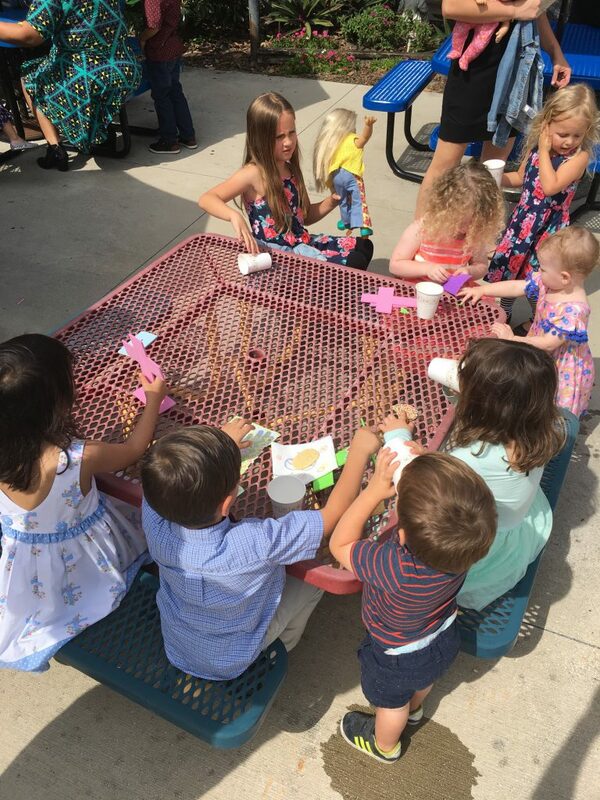 The children followed up their beautiful singing with a craft and a snack prepared with their parents for this special occassion. Everyone gathered in the courtyard for a bit of sunshine, conversation and fun before heading on their way. 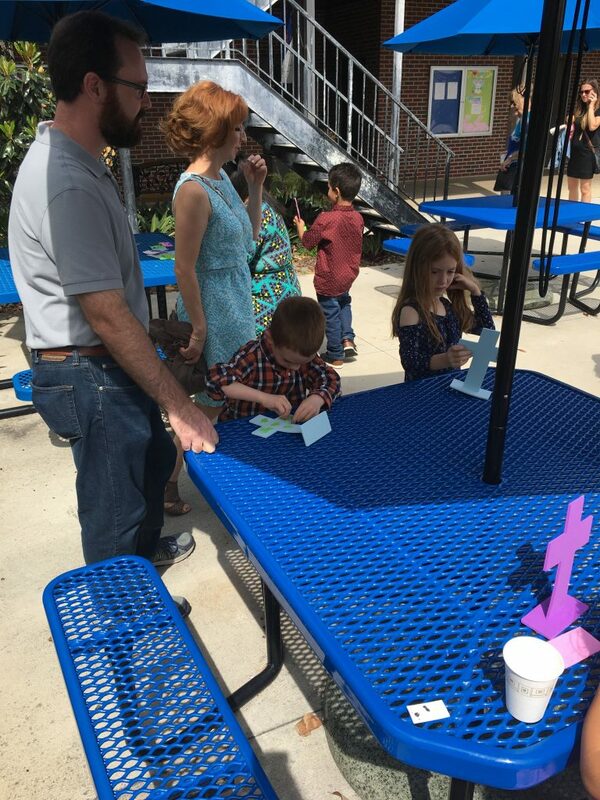 Lots of wonderful connections were made and stories were shared!